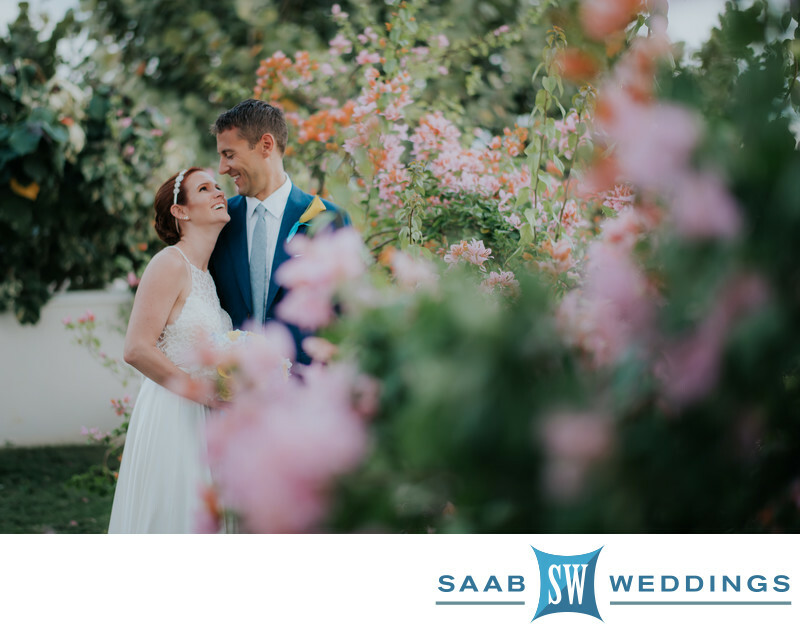 Surrounded by beautiful flowers this happy couple was photographed by Michael Saab. Michael of Saab Weddings has photographed many weddings at The Cliff Hotel Negril Jamaica when it was Moon Dance Cliffs. We would be happy to be your The Cliff Hotel Negril Jamaica wedding photographer.